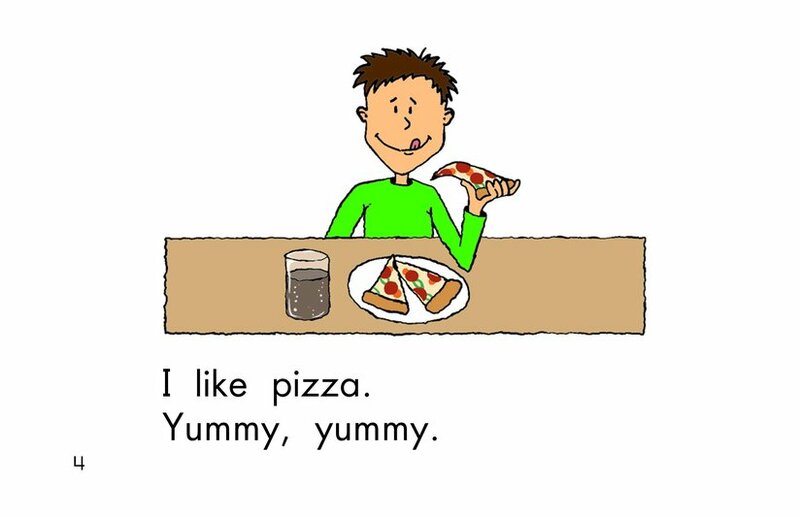 Who doesn't have food preferences? 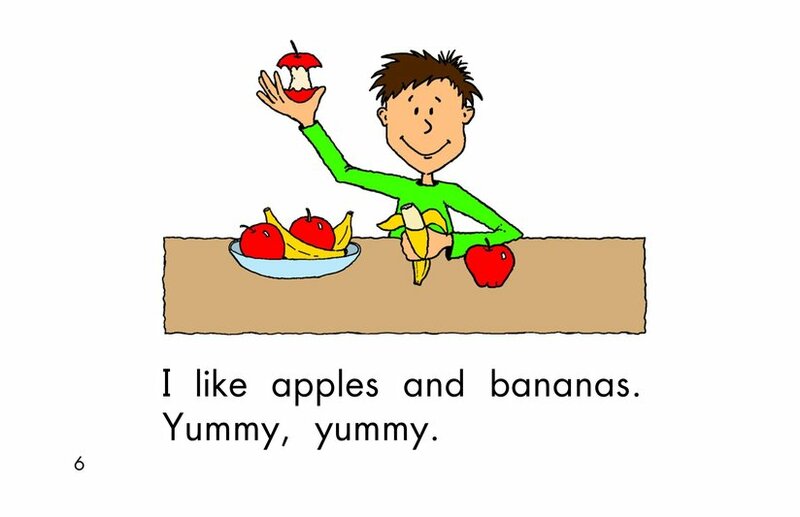 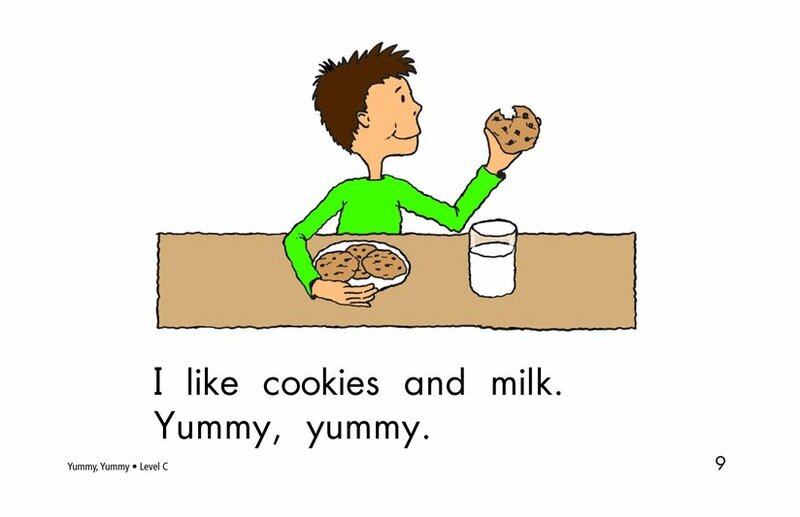 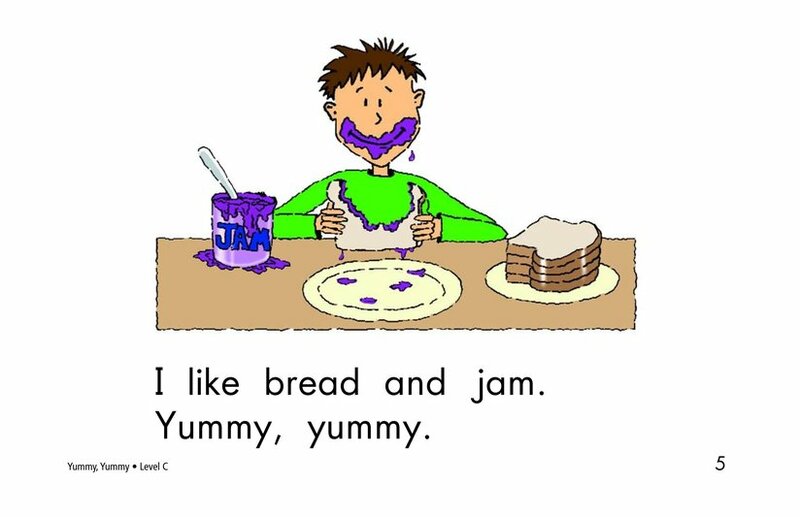 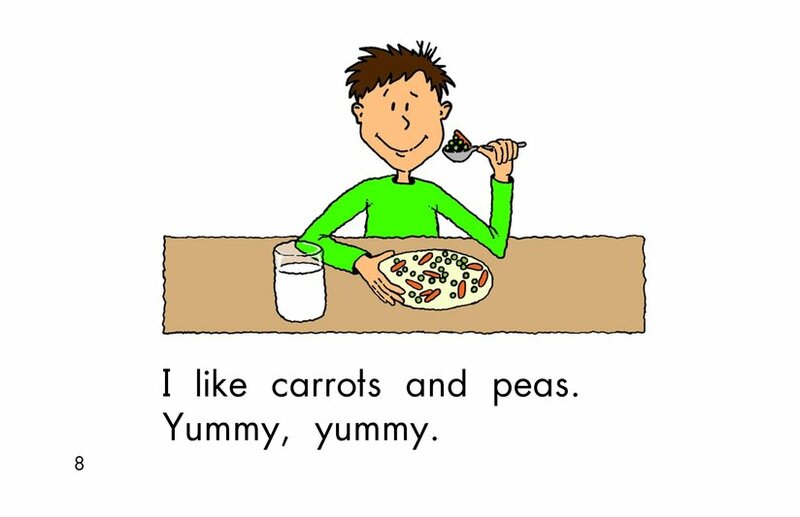 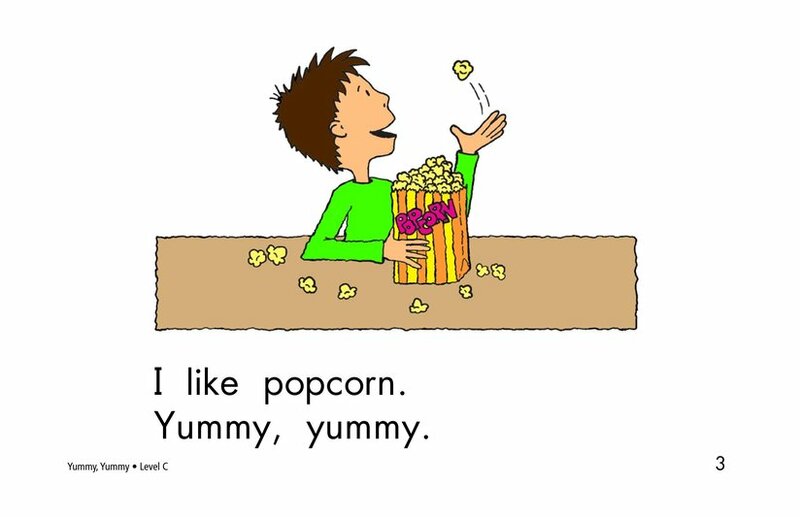 In this simple, repetitive text, readers find out what kinds of foods the boy in the story finds delicious. 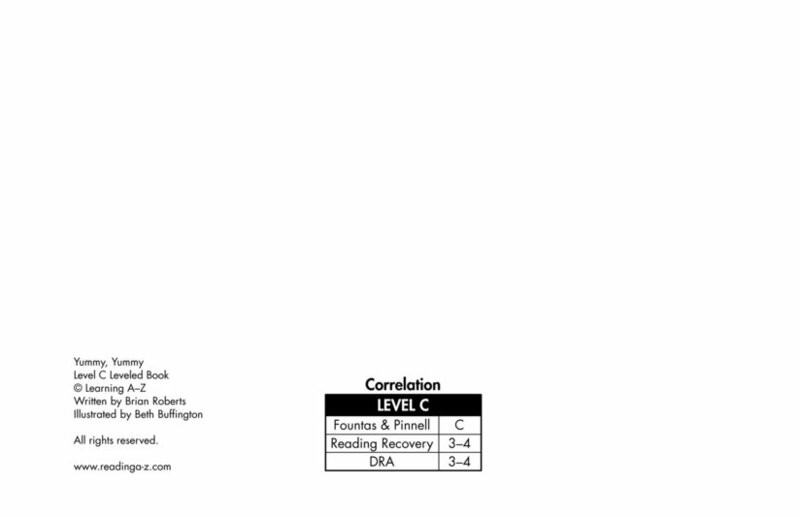 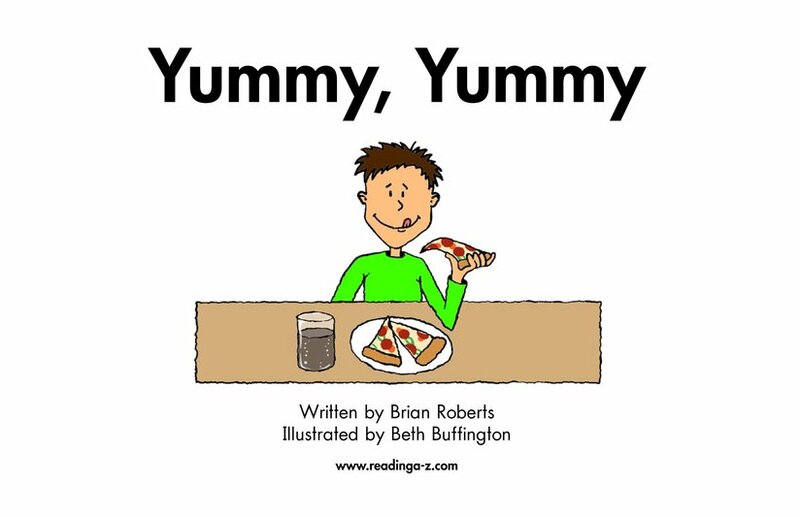 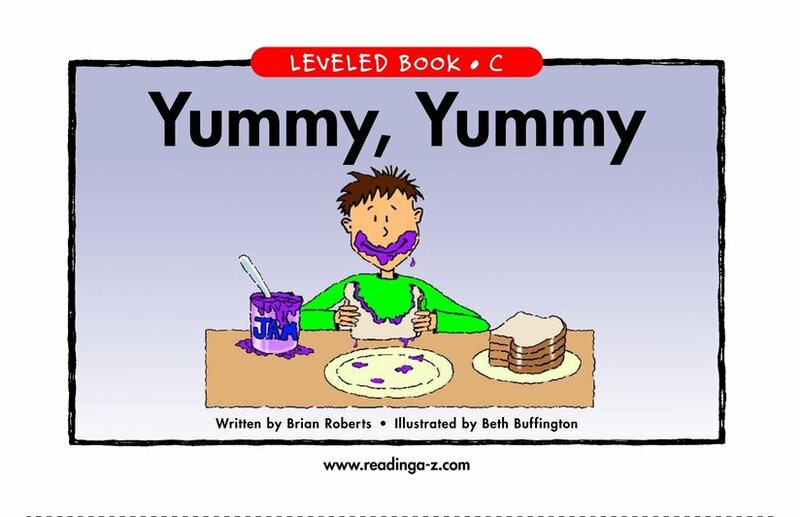 Each page introduces a different food and an affirmative response, "Yummy, yummy." 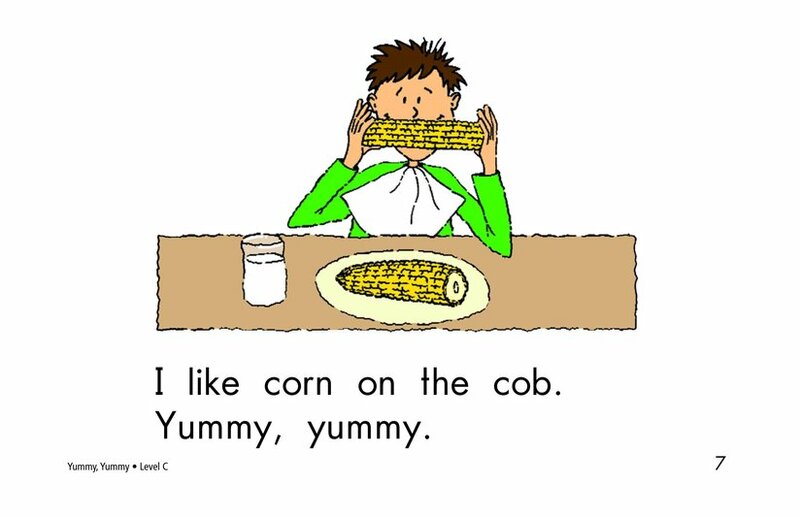 The end of the story reveals a food that the boy doesn't find so yummy.